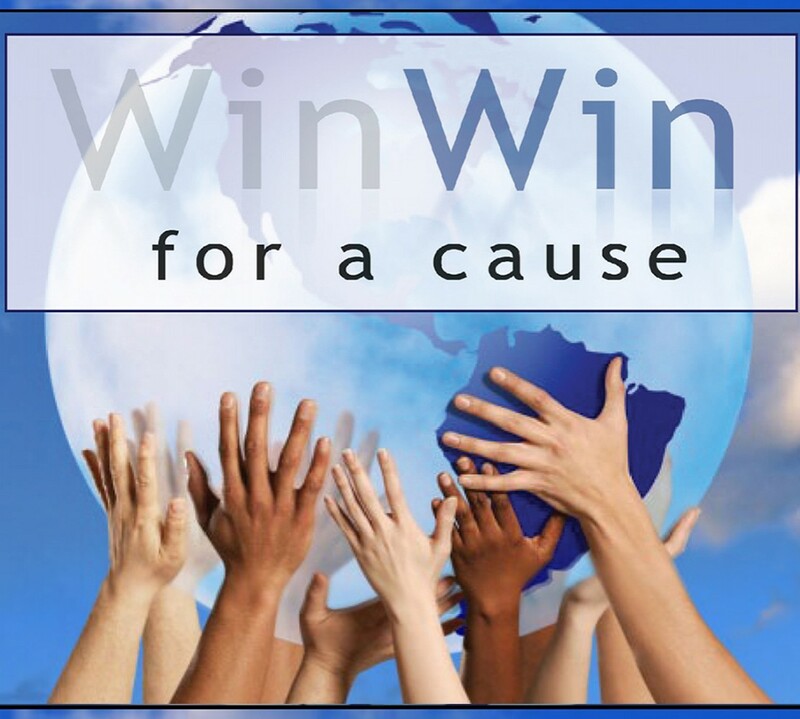 Win Win For A Cause | Doing good doesn't have to be a chore. Is It Really ‘Just’ Allergies? A stuffy nose and headache are common symptoms of allergies, as well as many illnesses. So how can you tell whether the culprit is a sinus infection, a common cold, or allergies when the symptoms of these three conditions are so similar? It can sometimes be difficult even for doctors to differentiate, but there are some key differences that can give you some clues to what is causing your congestion. Sinus congestion can cause an aching sensation and a feeling of fullness in the middle of your face. A sinus infection may also be accompanied by other symptoms like post-nasal drip, green (or yellow) nasal discharge, aching in your teeth, fever, bad breath, and sinus pressure or a headache that worsens when you lean forward or lie down. Your face may also feel tender, and upon examination, a doctor should be able to see pus draining near the sinuses. Causes: Bacteria or viruses trigger sinus infections. Colds, allergies, asthma, and other health conditions can also cause them. Duration Sinus infections may clear up on their own without treatment, but some might require medication. If your symptoms last for longer than seven to 10 days, your doctor may consider prescribing antibiotics. With the common cold you can expect a stuffy nose, but also some runny, discolored mucus. You may also experience a sore throat, cough, sneezing, headache, or fatigue. Another sign is a rising temperature: Colds often trigger a fever, but sometimes those fevers are so mild that people think they have allergies instead. Duration: People usually fend off the cold virus (without treatment) within seven to 10 days. But if your symptoms have lingered past that window of time, you might have sinusitis. If you suspect you have a sinus infection, you should talk to your doctor. You may experience some nasal congestion with allergies, but it usually accompanies a runny nose (clear, watery discharge), sneezing, and itchy nose and eyes. One big key clue– allergies do NOT cause a fever. Causes: Allergens cause an allergic reaction. Common indoor allergens include mold, dust, and animal dander, while outdoor triggers include pollen and ragweed. How long it lasts: If you have seasonal allergies, you may struggle with allergy symptoms throughout the spring and fall. If you’re allergic to indoor allergens, you may experience symptoms year-round. Because sinus infections, colds, and allergies share some similar symptoms, including congestion, medications like nasal sprays, oral antihistamines, and eye drops can help minimize your discomfort. If allergies are to blame, do your best to avoid your known triggers and steer clear of any other potential irritants, such as smoke or air pollution. Long-term treatments like immunotherapy (allergy shots) can help desensitize you to allergens and improve symptoms over time. If the culprit of your congestion is allergies or a cold, it doesn’t mean you won’t develop a sinus infection later on. Both cause the lining of those nose to swell, preventing proper mucus drainage. Be on the lookout for the symptoms of sinus infections, and treat them promptly. We are all familiar with the phrase ‘Pay it Forward,’ whether because you read the book, watched the movie, or have just paid attention. I encourage you to join millions of people around the world to celebrate International Pay it Forward Day – Friday, April 28th. This day is recognized by over 70 countries and over 50 state and city proclamations, it is a celebration of creating a huge ripple of kindness throughout the world through small, sometimes random, acts of kindness to strangers. By paying it forward, one person and one seemingly small act can make a meaningful impact in the lives of many. The sum is greater than the parts. You can’t do everything, but you can do something. Below is a list of ideas. Please use them throughout the year to spread a little joy. Most cost nothing, but could mean the world to someone. If you shop online, make your purchase through Give Back America or Amazon Smile. Hug a friend. Just because. Donate cat and dog food to an animal shelter, as well as old towels or blankets. Leave unused coupons next to the corresponding products in the grocery store. Leave a great server the biggest tip you can afford. Have you ever been the recipient of a random act of kindness? Feel free to share your stories and ideas to pay it forward. Within days, the farm had reached its capacity for baby goat snugglers for the season. Over two thousand people from all over the world responded to the message to help them with the care and feeding of 120 + newly born goat kids. People from every walk of life signed up for a shift on the farm, including veterans with PTSD, victims of domestic abuse and sexual assault, autistic children, the terminally ill, and urban dwellers just wanting a day in the country with their kids. Gail was so moved by this experience that she wanted to do more. She reached out to her long-time friend Tara Hodges, the founder of A Fertile Foundation, a local non-profit with a focus on farm-centered therapy. Due to lack of their own space, “Fertile” has in the past been more of a roving farm therapy program. This year “Fertile” will build on Caromont’s success by partnering with them to expand their therapeutic “snuggling”, creating a permanent space to provide farm-centered therapy to community members. The partnership provides a home for “Fertile” as well as allowing for animal and farming education programs provided by Caromont. What started last year with a simple call to volunteer with baby goats will grow this year to allow the continuation of A Fertile Foundation’s work. Caromont provides the terra firma, the baby goats provide unending and unconditional love. To learn more about A Fertile Foundation, please click here. All donations are fully tax-deductible and directly support their programs. The Valley, and large parts of the country, have seen unseasonably warm temperatures this winter. As a result, many trees and plants are budding and blooming prematurely. Like spring, these much-enjoyed warm days will be interrupted by some frosty nights. And unfortunately, a dip in temperature will put new growth in jeopardy. Luckily, protecting plants from cold damage can be accomplished in a variety of quick and easy ways. The key is to have your plants covered during the hours when frost develops. This critical period is from late night to early morning, when moisture on the plants can freeze. A good rule of thumb is to cover plants by 8 p.m. the night before a forecasted frost and uncover them by 8 a.m. the next morning. Pots and plastic containers – they’re great for protecting plants on frosty nights. Next time you get a large plant or shrub in a black plastic pot, save it. These large containers come in handy for those frosty nights. Old bed linens – great for covering plants and protecting them from frost. They’re great for cover use, since they’re lightweight and won’t crush the plant. Place sheets loosely over plants, and use a stone or brick along the edges to keep the sheet from blowing off. (Sheets are also great for draping over blooming shrubs.) Newspaper and burlap work well, too. Don’t forget to remove your plant protection in the morning when the sun hits. If a plant is injured by frost, damage will be noticeable within a few days. The plant growth will turn black, drop off or turn into “mush.” Sometimes new growth will reappear after a week or two, but in a lot of cases, you’ll just have to start over. What are your plans to protects plants from the returning winter weather?